It may have been raining elsewhere on Maui this morning, but the sun always seems to shine on the Mermaids. 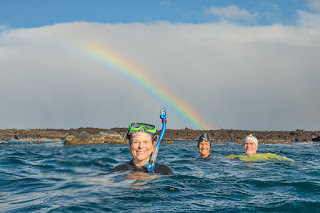 We watched this rainbow constantly fading in and out throughout our swim. 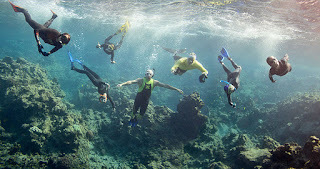 Click HERE for more photos from this morning with Maui's Mermaids.